Your music can only wait so long. Music to Your Ears - Never sit in silence again! 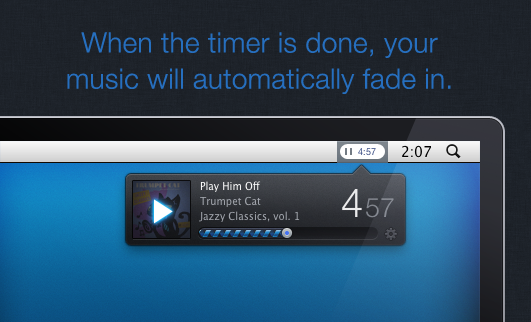 Take Five remembers to start your music playing again so you don’t have to. 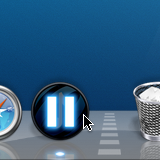 Easy as 3, 2, 1 - Take Five always shows your pause countdown in the menubar. 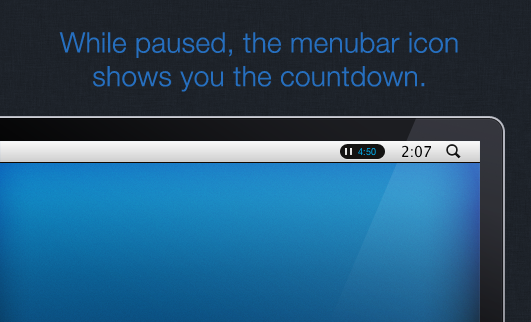 And you control exactly how long that countdown lasts. 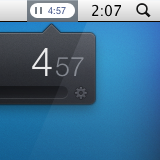 Less is More - Take Five's interface both is tiny and beautiful - and stays out of your way in the menu bar until you need it. 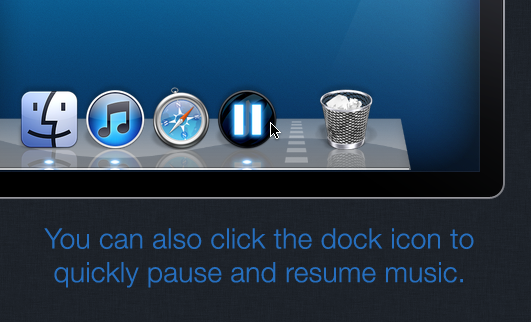 One-Click Pause - Just click the dock icon to pause iTunes. Click it again to play if you’re ready to listen before the timer is up. 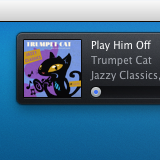 Key Commander - Keyboard shortcuts let you pause your music, see what’s playing, or show iTunes - all without moving the mouse. 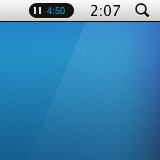 Heads-up Display - Get notified with a beautiful menubar popup when the track changes, so you always know what’s playing. 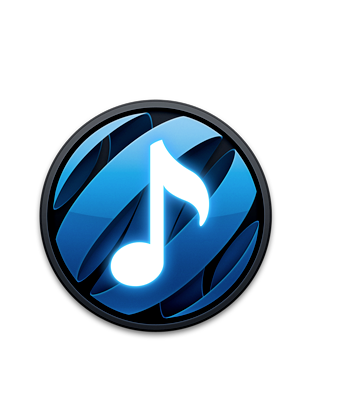 Take Five is a product of The Iconfactory, Inc. © 2014 All rights reserved. Follow @TakeFiveApp for the latest updates.